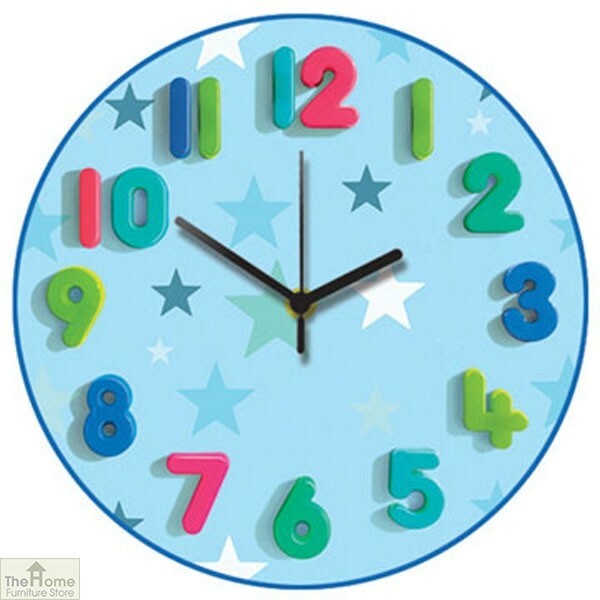 Blue Stars Childrens Wall Clock with easy-to-read numerals are multicoloured and make this the ideal first clock for children. 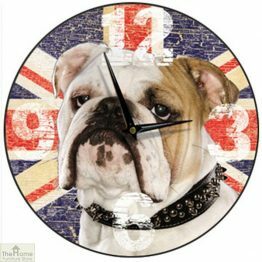 Measurements:Diameter: 305mm (12″) Depth: 4cm (1 1/2″). Blue Stars Childrens Wall Clock features a blue background with blue stars. 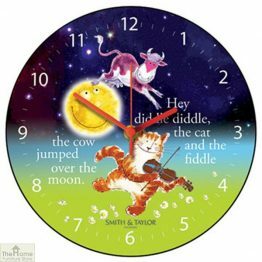 The easy-to-read numerals are multicoloured and make this the ideal first clock for children. 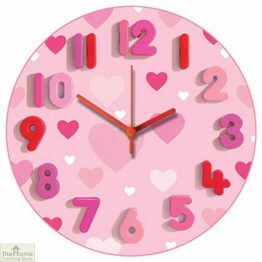 A fantastic gift idea, this colourful wall clock is sure to brighten up any childs room.